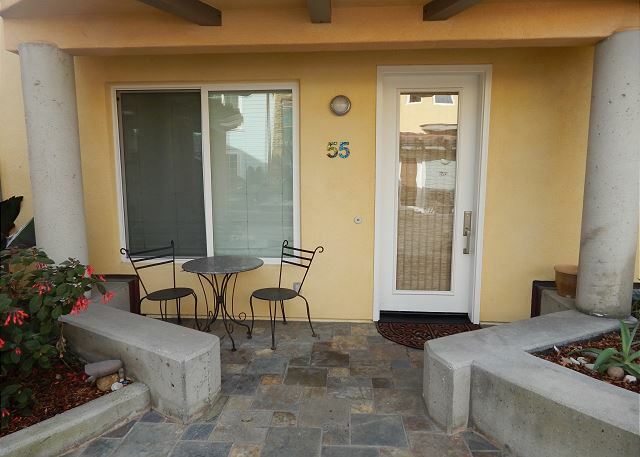 Avila Beach Condo Rental Offers Ocean Views and Close Proximity to Piers, Beachcombing, and Downtown Amenities. 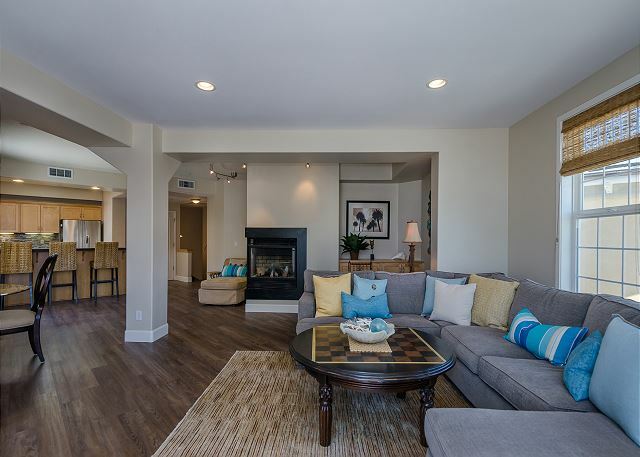 This Retreat at the Coast Offers Luxurious and Spacious Living in Avila Beach, California. Condo Located Only Steps to the Beach and Sleeps up to 8 guests in 3 bedrooms with 2.5 baths. 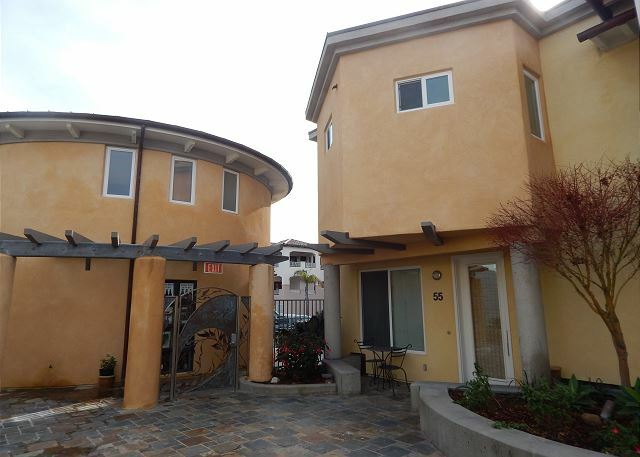 This two story condo is located in a completely gated and secure building. 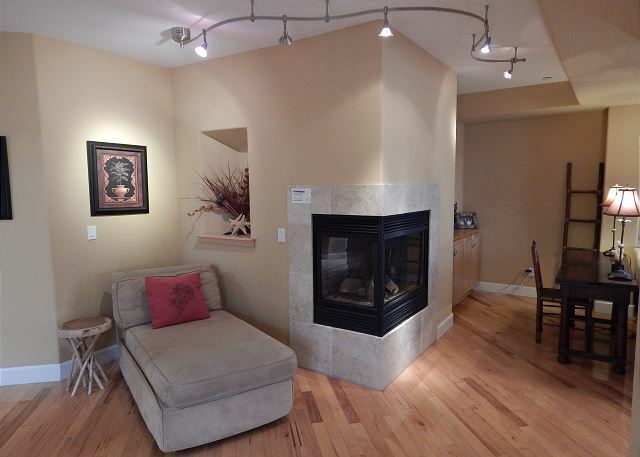 Features two family rooms allowing everyone to have their own space. On the first level the family room has a pullout queen sofa sleeper, 32" flat screen HDTV with DVD and digital cable service. 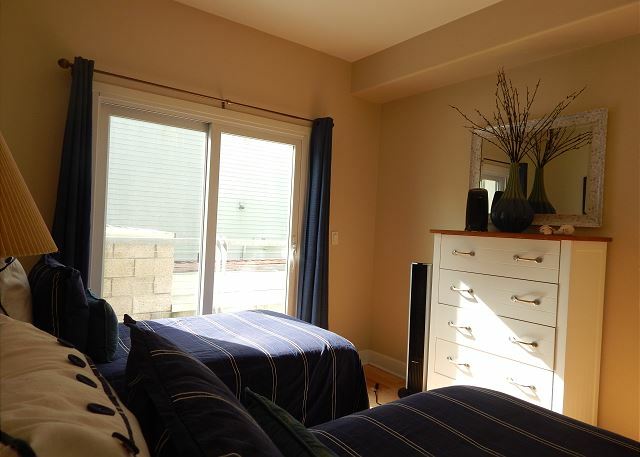 First bedroom on the entry level is furnished with two twin beds. Second bedroom also on the entry level is furnished with a queen bed. 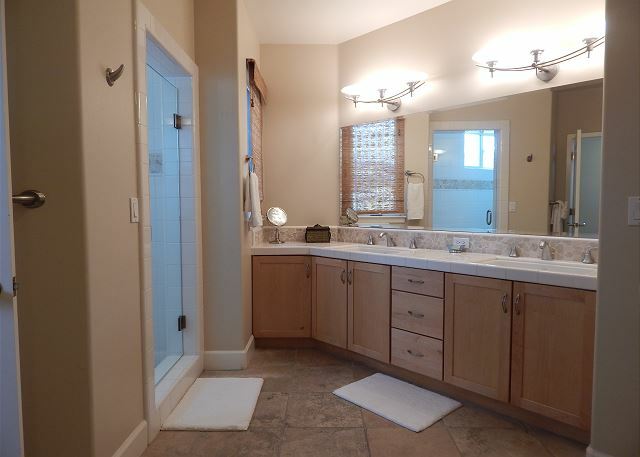 Both bedrooms share an adjoining deck and a full bath with shower/tub combo in the hall. The Great Room is on the second floor and is a complete retreat to relax or entertain your family and friends. A wonderful gathering space featuring a large sectional sofa facing the ocean, gas fireplace, and 50" flat screen HDTV with DVD player and digital cable service. Gourmet kitchen fully stocked and equipped with everything the home chef will need. 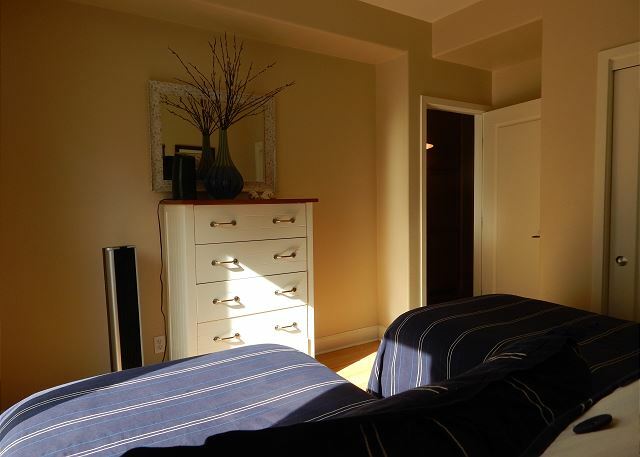 Master suite has a king bed as well as a large, private, and luxurious spa bathroom with soaking tub and walk-in shower. 2 reserved parking spaces in secured parking garage. This property is not equipped with air conditioning. "Great property. The location is a blessing and a curse. Loved being so close to everything but the noise from the restaurant next door is something to consider. Overall, we highly recommend!" 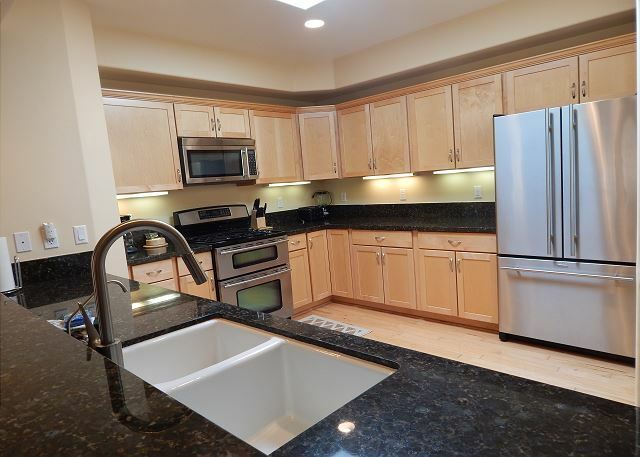 "This was a lovely home and great location! Great walking paths and restaurants just outside your door! 6 adults shared this home and not one of us were disappointed. What a fantastic home. We all will be definitely be back. " "We've stayed here a few times now, and each time it's clean, well-appointed, and very well located. The only problem is that it's a bit noisy because of the people drinking at the wine bar at all hours and then the trucks pulling into the restaurant driveway early in the morning, so bring earplugs. " "We had two families stay in this house and it was perfect! The space was big enough for us to not feel too cramped and we loved how close everything was to our rental! Avila is the cutest little town and, when we come back for another trip, we will for sure stay here!" "All of the beds and spaces worked very well for our family. We loved the location and there were plenty of kids for our grandchildren to play with. " "LOVED the location! 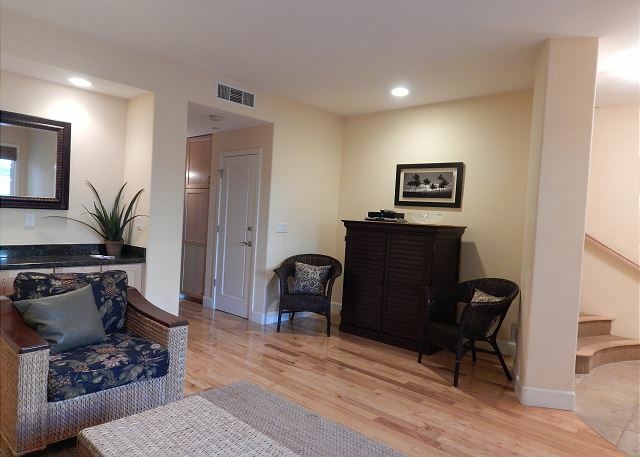 This condo was clean, spacious, great view of the ocean from the living room balcony. What makes or breaks my lodging experience is often the bedding, the bathroom and cleanliness. This condo hit the target on all accounts. Only caution is, when renting in this location, expect to have outdoor noise late into the night due to being located right behind a popular restaurant as well as early morning delivery truck noise. But hey, you're staying at the beach that's only a 1 minute and 36 second walk from the sand. 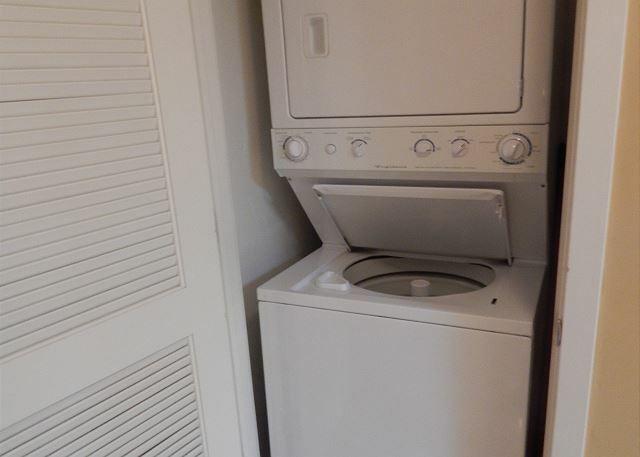 I would definitely rent this unit again." "Great refresh on the place. " "We had a great time. The proximity to the beach and the shops made it so easy and convenient. My 11-year-old son would run to the store, the ice cream shop, the pizza place. The house is in excellent condition and made our stay very enjoyable. The Master suite was amazing and the beds and linens were very comfortable. The downstairs mattresses were not as nice and weren't a very comfortable sleep for the family members that stayed downstairs. " Only downfall was getting keys from office 10 miles away"
"Overall a nice property just steps from the beach. Very large rooms and comfortable beds/couches. Arrive before dinner on a Friday night and enjoy the farmers market. Having the two parking spaces was key as there is little street parking. " "Great spot 1/2 block from the beach! 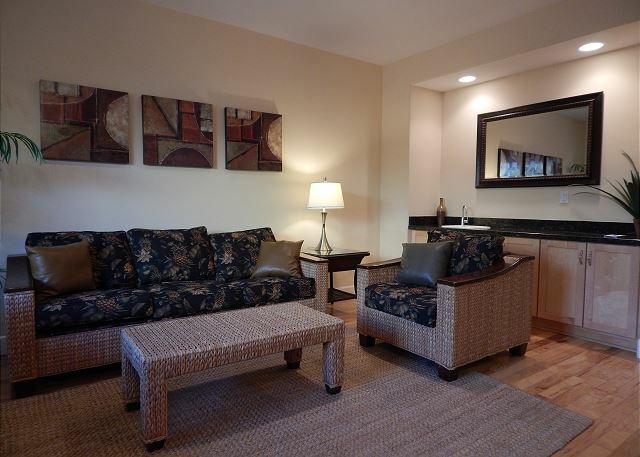 The condo is spacious, beautifully furnished, and close to everything. Would definitely recommend!" 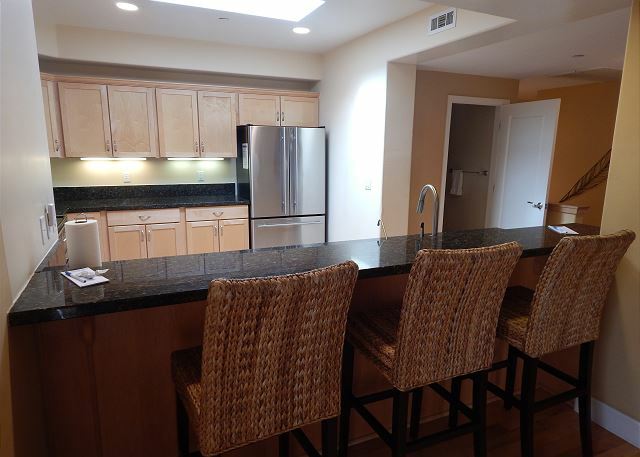 "We rented this and another condo in the complex with a group of friends. This is our second time in this complex. The location was great and the deck has a view of the ocean. Kitchen was well equipped and the master suite is beautiful. Great dining and fresh seafood from the pier within walking distance. Had a great time!! Would like to have a little bigger dining table to accommodate the number of people that the unit sleeps, but other than that a perfect get away." "The rental was a perfect escape for our family! Large enough to fit all of us and our stuff! Spacious enough to have friends and family join us for visits. Safe for younger kids to run around and up and down stairs. Loved having the laundry option to wash away dirty kids clothes and towels. The location was perfect for beach trip days and we could use the bathroom when needed while relaxing across the street. Wish the deck was larger to accommodate more people. Also love the parking garage and quietness of the condo compound!" "We stay in Avila a lot. This is our first time at this location and we loved it?? We give it a five on all questions." "Wow, what a great place! We ended up renting four condos for a company event in this same complex. There was plenty of room in 55 San Miguel for a welcome reception for 25 people. The unit is very nicely appointed and the location is perfect. 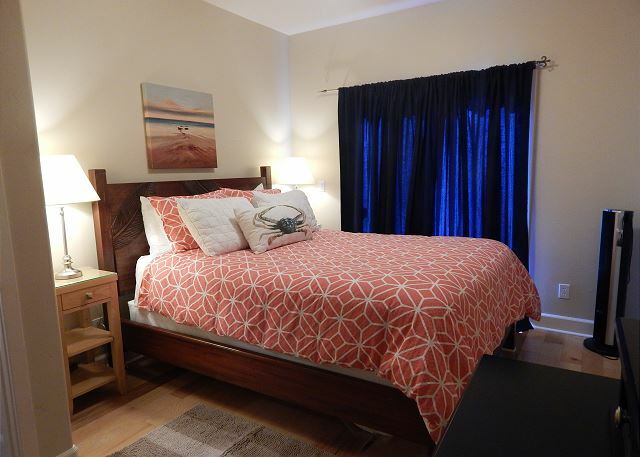 Walking distance to the beach, restaurants, shopping and wine tasting. The golf course and the hot springs are very close too. This is the 3rd time I've rented this unit and will more than likely do it again." "What a great weekend! This beautifully decorated and well appointed rental exceeded our expectations. Perfect location - steps from shops, restaurants, the pier, and the beach. Comfortable beds & furniture, for relaxing down time. Spacious kitchen, for preparing meals together. French doors in the living room open up to a beautiful beach & ocean view. Great morning spot to enjoy your coffee. We were lucky enough to spot whales from the balcony...can't beat that! We'll definitely be back!" "We loved our stay at 55 San Miguel. The property was very clean and had all the amenities needed for our stay in Avila Beach. We had friends staying in other units within the courtyard and after touring our rental, they all agreed that ours was the nicest unit! Perfect location for enjoying the beach and main street. Loved having the little balcony so that we were able to see the ocean. Only inconvenience was having to drive to Pismo to pick up and return the keys and parking garage openers, but that was minor and perhaps only an inconvenience because it was a long day of traveling and we just wanted to begin our vacation. We would definitely stay again and hopefully the unit will be available for our family of 6 to rent again next summer!" "We enjoyed the rental for new years. It has good amenities and good kitchen supplies. 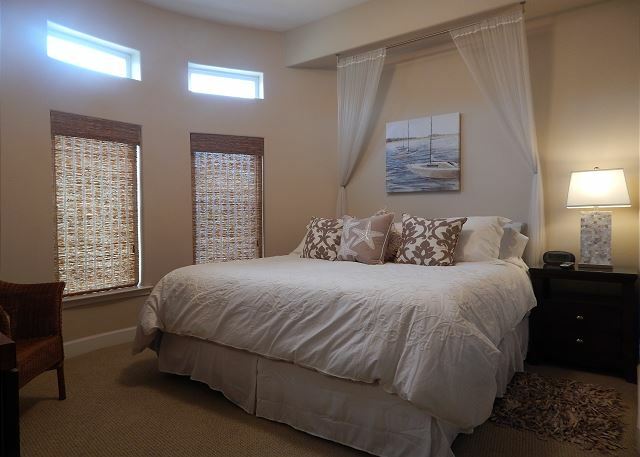 Very convenient and easy to enjoy all that Avila Beach has to offer. " "Overall it was very good. The pickup of the key 5 miles away seemed like an unnecessary inconvenience, though. " "This is the second time we've rented the unit at 55 San Miguel to have a family gathering. 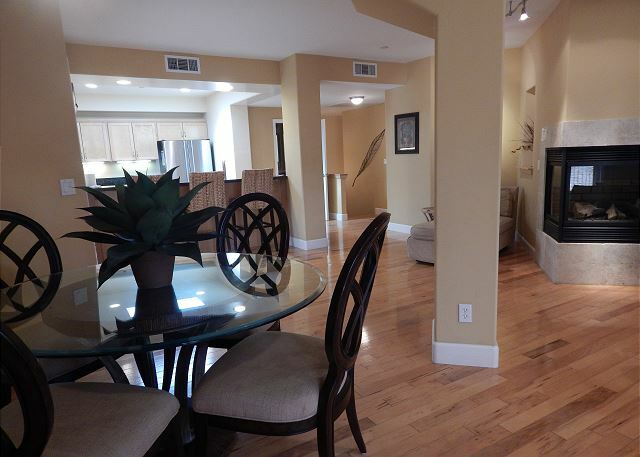 The condo is awesome with a huge living / dining / kitchen space, well appointed and a view of the beach. Since it's steps to the beach and the restaurants on front street, we barely needed to move our car. Avila Beach is such a fun little town, there always seems to be something going on. There was a concert at the golf course and an apple festival on front street with food booths and music. Wine tasting is not hard to find either and with the Custom House Restaurant in front of the unit you can have dinner at the best spot in town and be steps away from your door." "We attended my sons wedding in SLO and spent the week exploring the area. Loved the proximity to the ocean and hiking trail. Might be somewhat busy in peek season but nice to be able to walk to local spots, water, playground etc. the home was spacious and accommodated the 7 of us well. (Kids had lower level)"
"We had a wonderful weekend at the beach. The condo was beautiful and well furnished. Steps from the beach." "Great house, great location, great experience. And the most comfy beds!" "The overall experience was great. The property was beautiful and had a great layout, there was a lot of space both inside and out. The office was a little far from the property, but overall convenient for pickup and drop off. The only thing that I wish that they had detailed was the parking for the property. We arrived Friday evening and it was very busy with the street fair/farmers market, and we couldn't find the parking area, it is underground and you have to drive to the alley on the other side of the building, once we were able to turn around we found it, but the directions to get to the garage would help for future renters. " Response from Coastal Vacation Rentals: Thank you for the suggestion.Generally we give verbal directions on check in, but agree written is better. Will provide. "The condo is in a great location. Upstairs offers a view of the ocean and street happenings. Large well equipped. Room for all our family staying and visiting. Clean and comfy. Just needed a better wine opener and can opener. Other than that excellent. Will be coming back!" "We were surprised how roomy the upstairs was. All enjoyed the view of the ocean and waterfront activity. Very clean and well supplied. The downstairs bedrooms a bit small but no reason to be in them except to sleep. We will definitely book this place again. " "Thoroughly enjoyed our stay here. The amenities were fantastic for our family of 8. Three bedrooms, three baths (one with Jacuzzi) downstairs living area w/wet bar. Upstairs living area completely open to kitchen and views of the ocean and promenade. 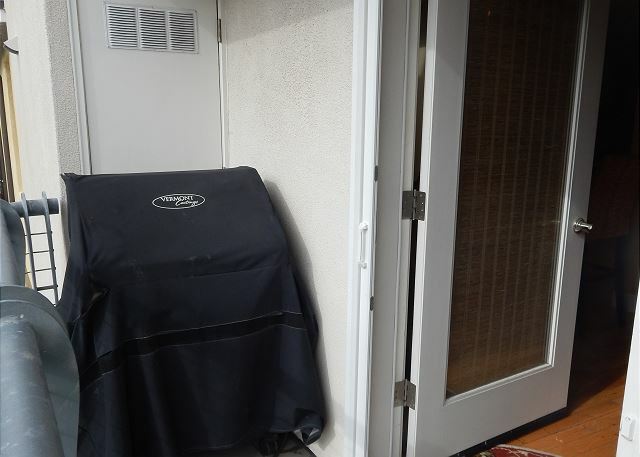 The area is secured and gated so the kids could play outside in the courtyard. Underground parking also secured and gated. 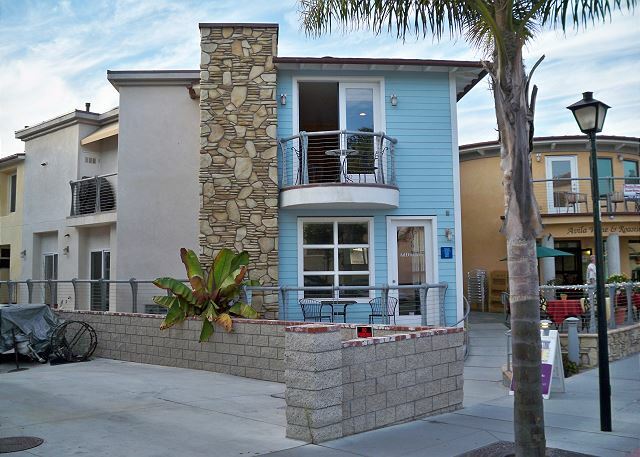 The apartment is less than 1/2 block off the beach and is the most centrally located residence in Avila. We would highly recommend this location to any larger group looking for all the comforts and amenities of home." "Outstanding property! perfect for the family. Only item you may want to "fix": the kitchen faucet seems very loose. Wasn't an issue for us; just wanted to mention. Thanks!" 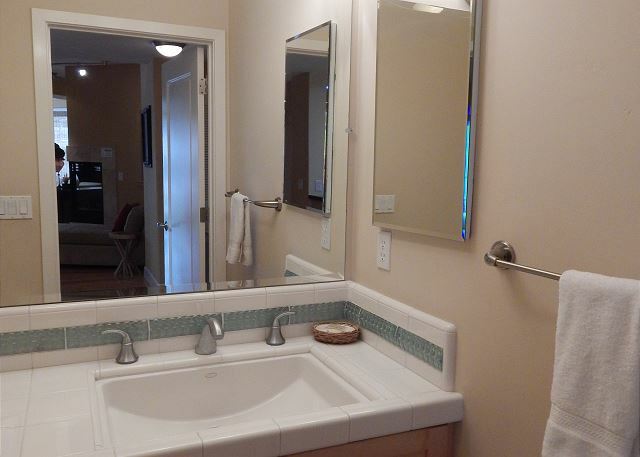 Response from Coastal Vacation Rentals: Thank you Dave, the faucet has been replaced. So glad you enjoyed your stay. "The group that we went with walked into the rental and thought it was kind of small, then we went upstairs and was amazed of the floor plan. It was very nice and open, and the view from the balcony was also very nice and refreshing. Thank you for the use of this rental, we were all pleased." "Beautiful condo right by the beach and restaurants. The condo was very well equipped and perfect for a family gathering. The living area looked out to the beach and the fall sunsets." "This place was so pretty! felt like home! cant wait to go again"
"Fantastic property, perfect for large family that wants to be close to the beach and restaurants. Exceeded our expectations - we will be back !!!" "We had a great stay. The condo was roomy and comfortable. I was a little disappointed as I thought the condo was beachfront. My misunderstanding I guess. However, there was a view of the beach from the living room window. I think this is the only condo in the complex that has a view. You will enjoy your stay." "Great place for a family to stay - 1/2 block from the beach!" "We are going to stay at this condo again! The location was amazing just a 1/2 block away from the boardwalk and the beach. Prefect place for two family with kids. :)"
"Wonderful location. The unit was very accommodating and had a large kitchen. A larger balcony would have been nice." "We stayed here with another family and had a great time! It's a very comfortable and welcoming place to stay, and it was the kids had a great time too. The accomodations are clean and well kept, and you can't beat the location! We will definitely be staying here again." "Easy to book, nice location"
"Perfect location for a wedding weekend in SLO." "Perfect for our purposes - a family reunion weekend with 7 adults and an infant. The great room on the 2nd floor is spacious. Kitchen was clean and well appointed. Access to the promenade is a few steps away. Parking and access are secure. The only issue during our stay was that the gas barbecue did not appear to have fuel available. 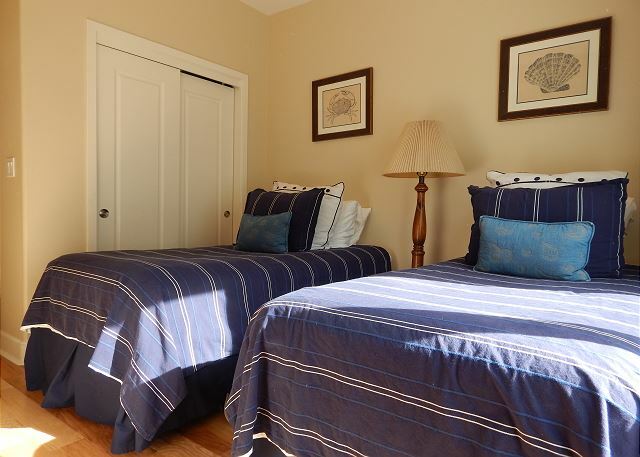 The master suite is spacious but has a double bed. We had a great time, and we would return to this property! " Response from Coastal Vacation Rentals: Thank you for your comments, please know to call the office if you encounter a problem, we will tend to it promptly. "This is a beautiful and very roomy home. 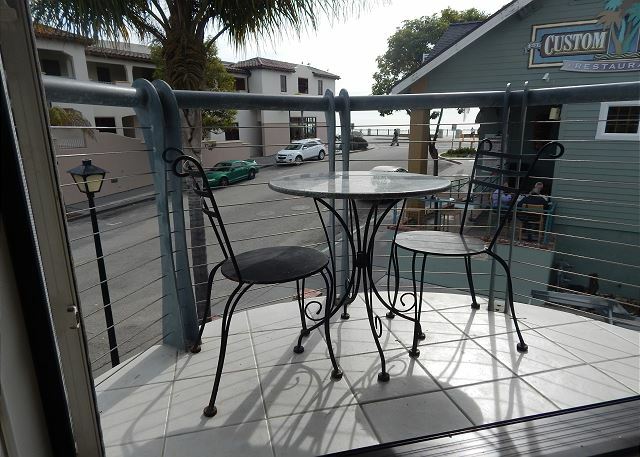 It is just 1/2 block from the beach and has a lovely balcony with a view of the ocean. Our only complaint is the noise. The house it directly behind the Custom House restaurant. Each morning we were woken up by the trash truck and various deliveries to the restaurant. " "We came to Avilia for a family reunion. Great decision as family had a place by another rental CO right up from our place. I liked our spot very much because you are right where the action is. With that being said, you are also in a busy area that can be loud--keep in mind that you will have the windows open weather permitting. The master bdroom and bath are spacious and pretty--the bed is firm, but not plush, so I felt like I was sleeping on a futon. The view from the lower level bedrooms is not ideal--shipping dock, so don't open the curtains. Should not be a big deal, as you will be spending time upstairs or better yet on the beach. Bonus--wine bar right around the corner and the owner, Manny, is very nice and knowledgeable about wine. We had a blast and would stay there again. " "Wonderful condo! Rented to stay with extended family for a wedding. Very spacious, clean, and well appointed. We were able to sleep everyone comfortably and gather with everyone during the days. Walk half a block and you're at the beach. The only negative is that it is right across from a restaurant and the morning deliveries on weekdays can be a bit noisy." "My friend and I had a fabulous time in Avila Beach. The condo was comfortable, close to everything and so spacious. We only wished we had more people with us to enjoy it all. We are already looking forward to planning a trip with either friends and family to show them all the wonderful things we enjoyed during our weekend here. " "We couldn't figure out WIFI. If there is no wifi it is enough to make us possibly not rent here again. Our twenty one year old son slept in the day bed and it was a little small for anyone over 5'6". Otherwise, it was perfect. Lovely, beautifully furnished . " "Place was great! We had a toddler, so being as close to the street and by the loading dock was a little loud for nap time, but really, it was awesome! A walk from anything you would ever want. We will be back"
"We have been vacationing in Avila for the last 30 years, with friends while in college and with our girls since they were born. 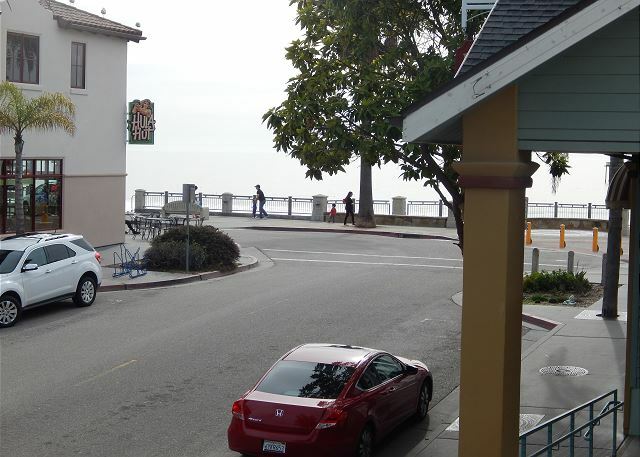 Most trips were at the Surfside (now Inn at Avila Beach). When our oldest got her masters in December, her graduation trip request was to spend some relaxing time in Avila. Since we intended to stay for a week, a full kitchen was a must. This property is gorgeous and accomodating for all our needs. We cooked most meals in the gormet kitchen nad relaxed either at the beach, just steps away, or in the comfortable family room upstairs. We read, played, did numberous puzzles, and just relaxed. This was our 2nd New Year's in Avila and Mr. Rick's did not disappoint, again. I know we will stay at this property again, it met all our needs and more. " 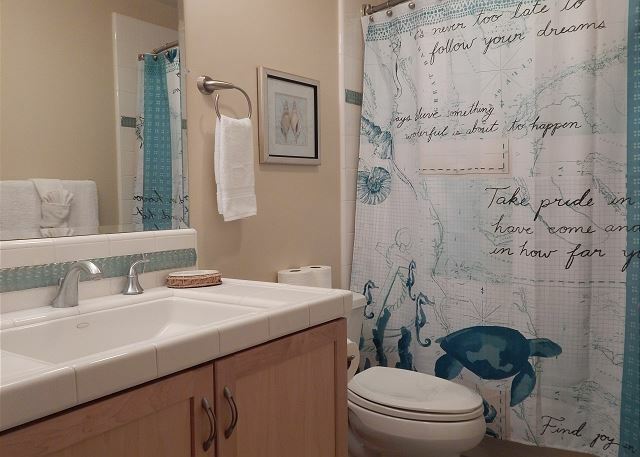 "The condo was clean, well equipped and beautifully decorated. The only problem was the noise at night after we went to bed. We could hear people leaving neighboring restaurants, laughing, talking, getting into cars." "Great overall experience. 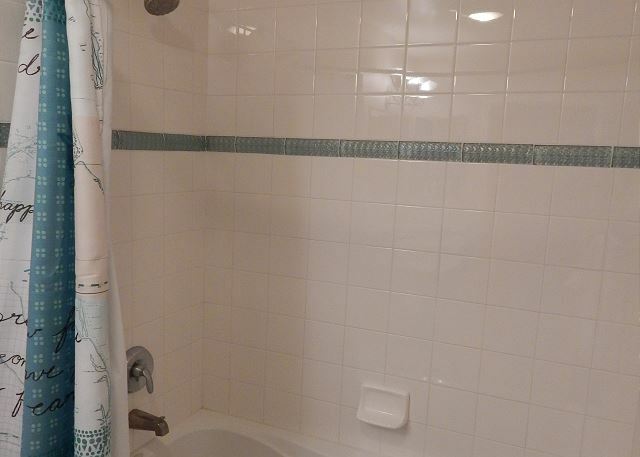 Unit was very spacious and location wonderful. Only negative was the beds, very uncomfortable." "We loved this property and will definitely be back. The location in Avila is awesome. You can see the ocean from the main living area and kitchen. The only downside of the location is it is on a busy street and right behind the main ocean front, so with the windows open the traffic and folks passing by can be pretty loud at all hours of the day/night. This is something I'm definitely willing to live with in order to have the location and the view! I wish the deck/terrace was just a little bigger - you can only fit 2 folks on a small bistro set, but overall, a great place to stay. 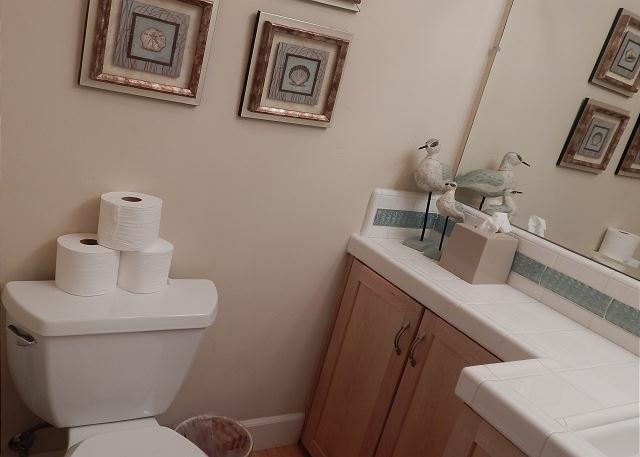 Very well maintained and decorated." "Renters should know there is significant early morning noise on weekdays from deliveries to the Custom House restaurant." "The property was beautiful and the location was spectacular (less than a block to the shops and beach). I would have given it 5 stars except for 2 things: (1) It was pretty loud because of its proximity to the restaurants and shopping, which is hard at night with young kids (4 and 6 y/o). (2) Our kids slept in the master bedroom with us (because they're young and another family was utilizing the rooms downstairs). The windows were beautiful but let in a lot of light in the early morning which resulted in the kids waking up extremely early (no one wants to wake up at 5:30am on vacation). We subsequently had the kids sleep in the large walk-in closet with the door open and that helped them sleep in later. All in all, the property is beautiful, spacious, convenient and I would definitely consider staying there again." 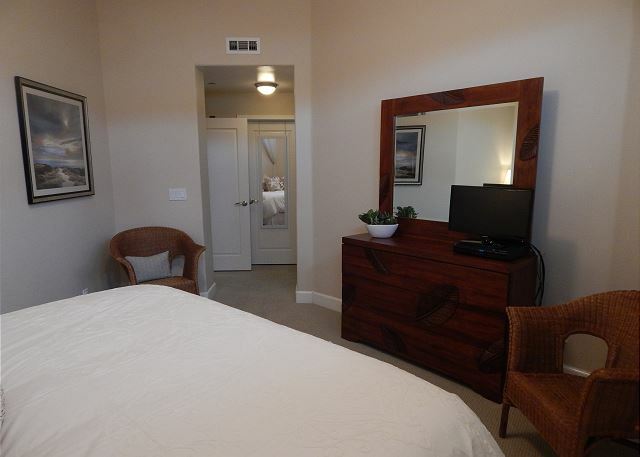 "great unit, terrific location - beautifully furnished and finished.and spotlessly clean. thank you. only issue was early morning trash trucks and deliveries at the restaurant next door. but that isn't the rental's fault." "The upgrade of the master bedroom mattress is much improved. However, I still think that a King bed would be even better. Lastly, I still think that a ceiling fan/light would be a nice addition for night time, while the location is great, later at night it can get a bit loud with people leaving the bar or early in the morning with the gate being right there and people just talking/shouting away at 6:30/7am like no one else is around. " "This condo was very nice. It had everything we needed. Loved the location and how clean and neat the place was. Quite large also"
"No complaints! Will stay here again for sure.."
"The only thing I have to comment on is the master bed. It's horriable. Every little movement the bed makes noise and wakes anyone up. The mattress is so old and soft that I could feel the slats it sat on. For the price per night the bed should be better. " did not realize until bedtime the first night that two of our beds did not have sheets on them. Housekeeping found them the next day in a locked cupboard. The noise from the Custom House restaurant next door was loud early in the mornings with deliveries and late at night on the weekend." "My family and I stayed the week of 4th of July, 2011. We enjoyed the condo immensely. It was clean and beautiful. We hope to be able to stay again next summer. The property is located less than a block away from Custom House and Hula Hut, our faves. You can hear the waves at night that's how close it is to the beach. Loved it!!!" " Love it there. Do think bathroom doors should have locks and carpets are soiled. Again, LOVE IT. Garage availablity a selling point." "Wonderful condo in Avila just a half block from the beach. The property is perfect for a group as the living room and kitchen are very spacious. I would definitely recommend this location!" "This was a great house and location! Open up the living room doors and have an ocean view. It was a little loud in the morning due to the shops having deliveries (the house is located behind some restaurants) but it didn't bother us. Will definitely love to rent this place again!" "This was a great house and location. We loved how it accomodated our familes. It was clean and lots of space! We would definitely love to stay here again." "Beautifully decorated, very spacious, wonderful location, close to beach...awesome!" "We recently stayed at 55 San Miguel & loved it! We were there with my teenage kids & a friend with her kids. The location was ideal for us. The house was large, clean & well stocked. The town of Avila was really cute with the beach just 1/2 block away & several shops, restaurants & wine tasting all very, very close. 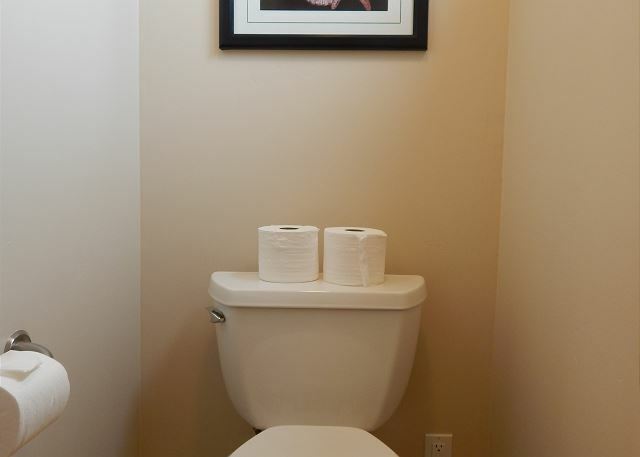 We would definitely recommend this rental!" "This was truly a home away from home. The kitchen was amazing and lacked nothing. The seating was plentiful and comfortable. The linens were upscale hotel quality. We stayed here for Christmas with our adult children. We did not want to leave. Definitely a place we would love to rent again!" "I used to work right around the corner above beach comber bill's and I've always loved being at Avila beach. It's not as touristy as Pismo so it's very relaxing and spacious. The house was really nice and it had everything we needed to cook and BBQ. Everyone was so impressed by the comfort and quality of the house. We all want to come back again soon." "(Restaurant's delivery and trash truck traffic made for noisy early mornings but if you didn't care about sleeping-in then really not a problem.) Also top floor can get very warm, so A/C would be very useful as opening doors and windows didn't alleviate the heat at times. 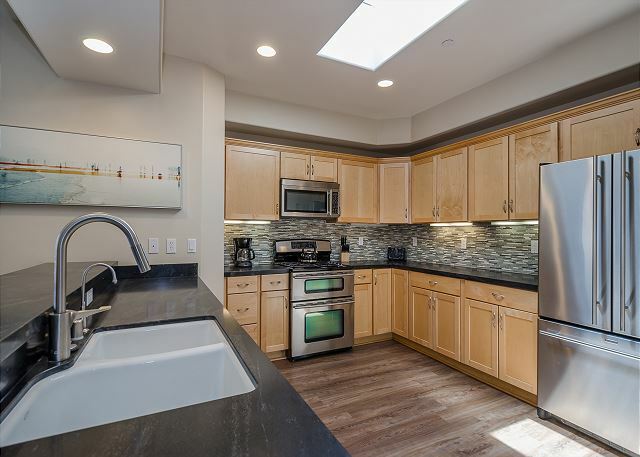 Other than those two relatively minor issues, this home is absolutely lovely, spacious and the two parking spots become invaluable if you are planning a trip in the busy season! I would highly recommend this beautiful home for couples and families alike!!" "The only complaint is that the printed instructions for the unit had an outdated entry code for the locked gate and it took the property manager 2 days to call back with the correct code. (In the meantime I simply asked another tennant for the code.)" 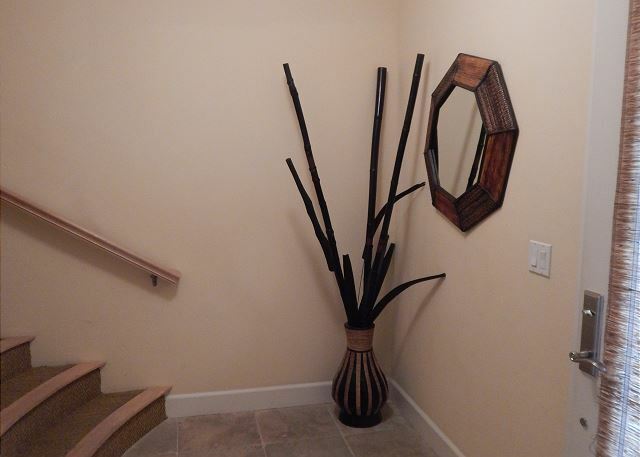 "beautiful layout in the home, avoid the pullout couch at all costs - it gave us a serious neck and backache, very serene feeling, loved the big couches upstairs, super convenient location, really didn't like having to drop the keys at the office upon departing when we were hurrying to get to LAX." "Nice place but delivery trucks and trash collections trucks in the VERY EARLY morning is hard to take but I guess that is what you get when you are next to a restuarant. Place was perfect for the group of people I was entertaining." "We had a wonderful time but a few things did come up that were a bit frustrating. My suggestion is that your cleaning service pay closer attention to preparing the place for the next guests. As I explained in my phone call, we were getting ready for graduation (6:00 am) when we realized there was no iron. When making up the beds we discovered only 2 fitted sheets for the twin bed, spot on bedspread in master bedroom, pins which lock the bathroom doors were missing from both the upstairs & downstairs bathrooms and the kitchen trash can came with only the one bag that was in it when we arrived, no extras. " "the older woman in the office was too abrupt. not friendly. we an humans remember the negative sorry.